Due to the ever-increasing pace of new developments in entertainment, pharmaceuticals, science and technology, intellectual property assets can often be among an organization’s most valuable property. As more and more intellectual property is being created in the U.S. (and, indeed, around the world), the number of filings at the United States Patent and Trademark Office (USPTO) and the United States Copyright Office (USCO) rises accordingly -- and so does the number of instances where an organization’s intellectual property is used as security/collateral for financial transactions. Thus, it is increasingly more common for legal counsel to perform searches of the USPTO and the USCO when conducting due diligence for large financial transactions and/or mergers and acquisitions. In such due diligence situations, it has long been required practice to conduct searches of the UCC records in the appropriate filing office(s) to determine if companies’ business assets (both tangible and intangible) are subject to recorded liens. With intellectual property comprising an increasingly larger pool of business assets, it is now equally important to include searches of intellectual property records as part of the due diligence process. Patents: Section 261 of the Patent Act provides that patents (or patent applications) “or any interest therein, shall be assignable in law by an instrument in writing”, but does not directly and explicitly address the perfection of security interests. The actual practice of recording security interests with the USPTO stems from the Supreme Court case of Waterman v. McKenzie (1891) which predates the UCC. Since Waterman and the advent of the UCC, lower courts have diverged on the issue of whether UCC or PTO recordation is sufficient as a means to perfect a security interest in a patent. Therefore, it is advisable that patent ownership be verified through a search of PTO records, and that security interests are then recorded by filing both an assignment with the PTO and a UCC financing statement with the appropriate state filing office. Trademarks: No federal statute specifically addresses the issue of perfecting security interests in trademark collateral, but the USPTO does provide a system for the recording of security interests in the trademark assignment index. While the filing of a UCC1 appears to be a legally sufficient means of perfecting a security interest in a trademark, lenders and their counsel may also be well advised to conduct an ownership and assignment search of the PTO trademark records and to subsequently file the security interest with the USPTO (in addition to filing the UCC1) if the trademark is found to be registered. 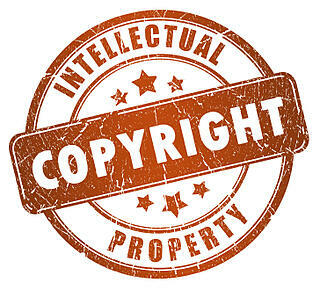 Copyrights: The Copyright Act provides a means of perfecting security interests if the copyrights to be used as collateral have been registered with the USCO. If a copyright is registered, perfection of a security interest is accomplished by filing a copy of the security agreement with the USCO. If the copyright is unregistered, any associated security interests may instead be found in state UCC records. Clearly, the presence of intellectual property assets in loan and merger/acquisition transactions adds another set of search and filing tasks to these deals. Lenders and their counsel who fail to to properly conduct this additional due diligence do so at their own peril.